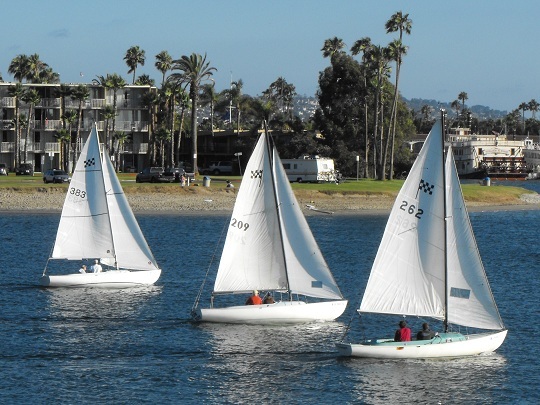 Victory Fleet 13 was formed at Mission Bay Yacht Club in 1962, by Charles Bentley. Tim Bentley would be the first MBYC skipper to win a Victory Nationals in 1963, and 1977 would be the first time MBYC hosted the Victory Nationals Regatta. 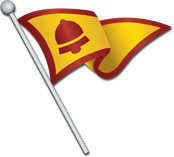 In the late 70’s there were 36 registered Victory’s at MBYC, more than any other Fleet, to this day, in the 80 year history of the club. Today you can see Victory’s actively race every month in San Diego Bay. San Diego is also home to the Jack Dorsee regatta, named after the Catalina Yachts salesman who was very influential in the purchasing of many of the Victory’s you see today. San Diego is a popular destination for the Victory Nationals, and the Victory is also very popular with U.S. Disabled Sailing teams. Since our early beginnings, Mission Bay Yacht Club has been the epicenter of Victory racing. She was and is the “Homeport” of the Victory Fleet. Today, we have eight active boats, and are dedicated in keeping the proud history of the Fleet and the joy of sailing, racing, and competing, alive.